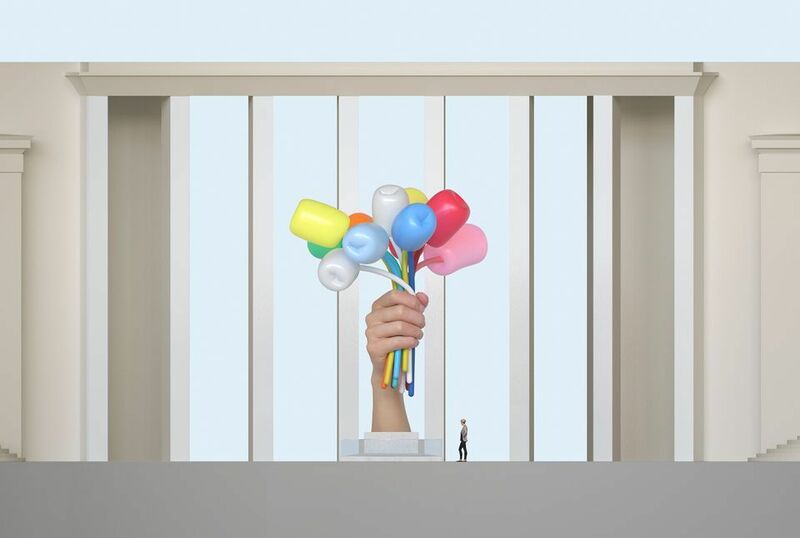 After months of controversy, the Ministry of Culture has abandoned plans to install Jeff Koons's sculpture, Bouquet of Tulips, in front of the Palais de Tokyo and the Musée d'Art Moderne de la Ville de Paris. The US artist hoped to pay homage to the victims of the November 2015 terrorist attacks in Paris with the memorial piece but the proposal enflamed French dealers and cultural figures who heavily criticised the initiative. “I have spoken to Koons several times; we’re keen to move on from the controversy. He is not set on the Palais de Tokyo site,” the French culture minister Françoise Nyssen told the French newspaper Le Figaro. The sculpture is now due to be sited in a “popular and visible place where it can be shared by everyone”, says Nyssen who was due to meet Culture Ministry and City of Paris representatives yesterday (28 May) to discuss the relocation. The French culture ministry manages the Palais de Tokyo. The 11-metre high sculpture of a hand holding a bunch of tulips was conceived by the artist at the request of Jane Hartley, the former US ambassador, who wanted to extend support to France. “Bouquet of Tulips was created as a symbol of remembrance, optimism, and healing in moving forward from the horrific events that occurred in Paris one year ago,” Koons wrote in a press statement in 2016. But critics of the proposed initiative dismissed the brightly coloured sculpture as ostentatious and self-interested; in January, more than 20 French cultural figures, including the artist Christian Boltanski, slammed the work, questioning how the monumental $4.3m piece would be funded. In February, the Professional Committee of Art Galleries, a French ethics organisation, issued a statement demanding that the artist’s gift to France be installed elsewhere. Noirmontartproductions, founded by Jérôme and Emmanuelle de Noirmont, is the production company behind the Koons tulips memorial; its representatives declined to comment. In a statement released in January, the company said that the choice of the Palais de Tokyo site “resulted from a long [period of] reflection which lasted from spring through to autumn 2016”. Koons himself also declined to comment.